Carbon dioxide (CO2) is the primary greenhouse gas emitted through human activities. CO2 is emitted through the combustion of fossil fuels for energy production and transportation. These activities are adding more CO2 to the atmosphere and altering the ability of natural sinks, like forests, to remove CO2 from the atmosphere. The need for change in the way we consume energy is driven by increasing concerns over the consequences for the planet. Primary amongst these is the growing evidence of climate change with its potentially serious effects on the environment. 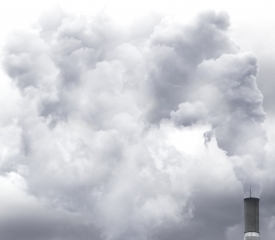 Climatic problems arise from emissions of greenhouse gases associated with fossil fuels. The main greenhouse gas that is causing concern is carbon dioxide (CO2) although methane emissions (CH4) are also an issue. Energy accounts for 80% of all greenhouse gas emissions in the EU. Determined to fight against climate change, the EU is committed to reducing its own emissions by at least 20% by 2020. The Climate Change Act commits the UK to achieve an 80% carbon emission reduction by 2050 against its 1990 emission baseline. Renewable energy refers to energy that occurs naturally and repeatedly in the environment. This can be energy from waves, wind, the sun and geothermal heat from the ground. Renewable energy can also be produced from plant sources such as wood or crops grown specifically as a fuel. As the term suggests, renewable energy will not run out, unlike energy from fossil fuels.